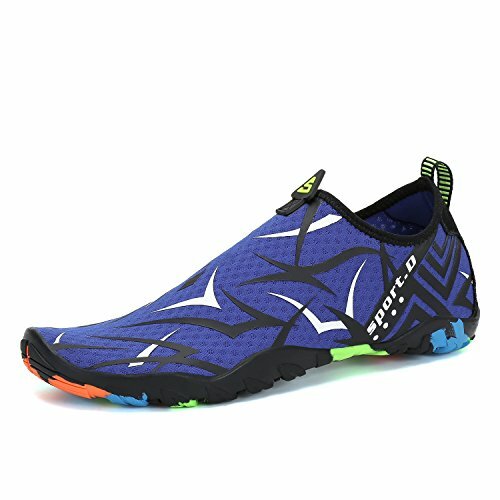 JIASUQI Womens Men Outdoor Beach Aqua Water Shoes Pool Swimming Black US 9.5-10. 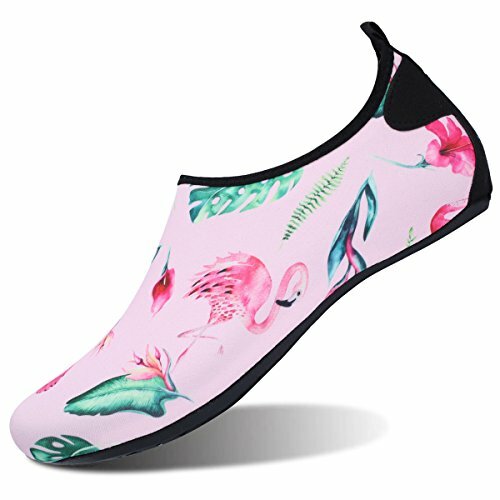 JIASUQI Men's Women's Aqua Water Shoes Swimming Yoga Flamingo US 11-12 Women, 9. 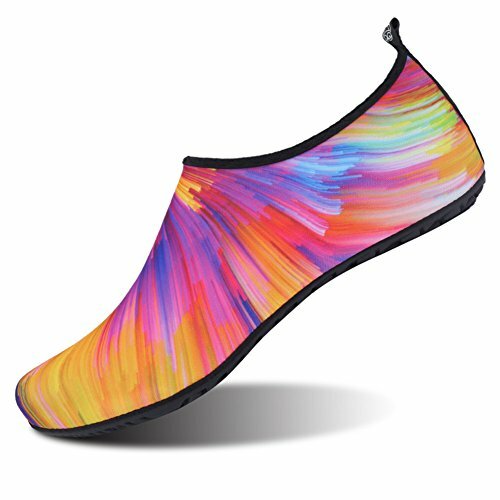 Ultra Light Weight Stretchy Material makes it easy to wear and take off, to provide you with a comfortable feeling. 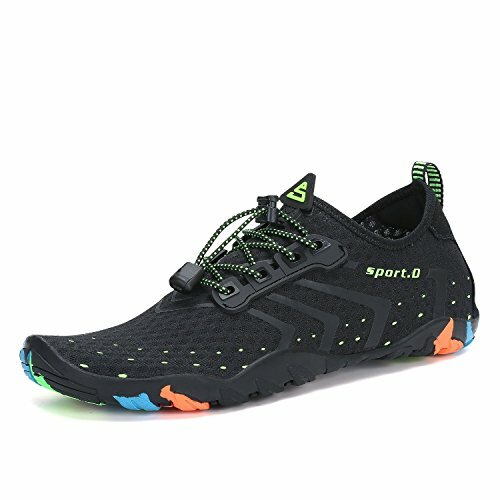 Upgraded textile sole with anti-slip dots,that can provide you with comfort and protection to prevent slipping. 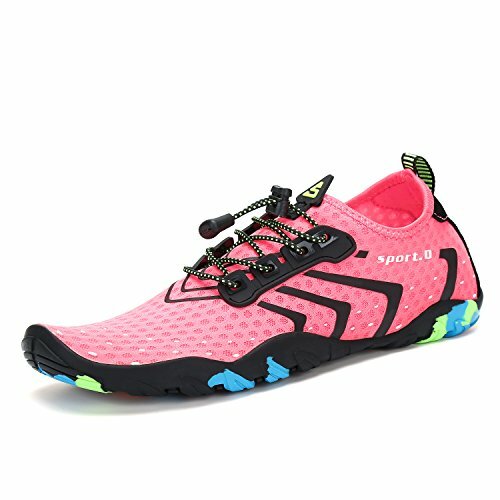 High quality material and exquisite workmanship technology to provide user with comfotable feeling. 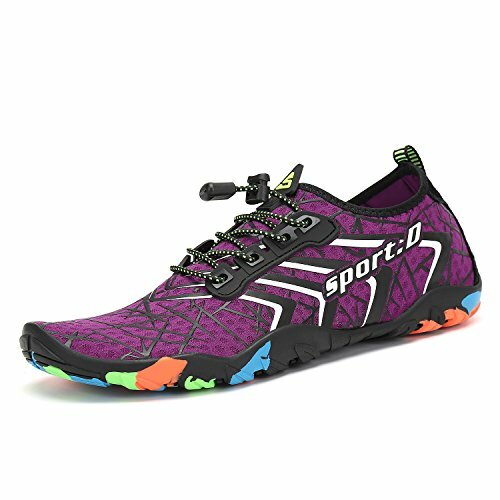 Various Size for Kids,Women and Men. 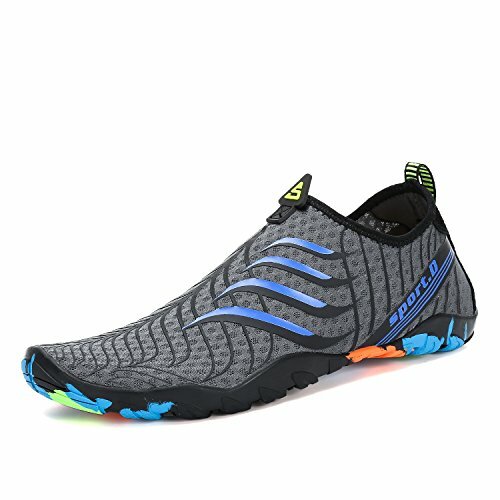 It is very perfect for vaction. 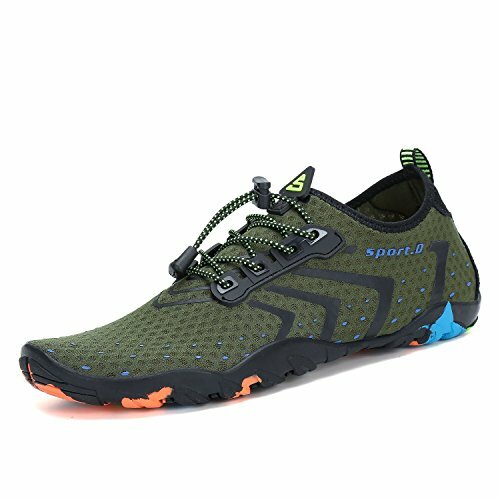 Idea for any indoor and outdoor activity. 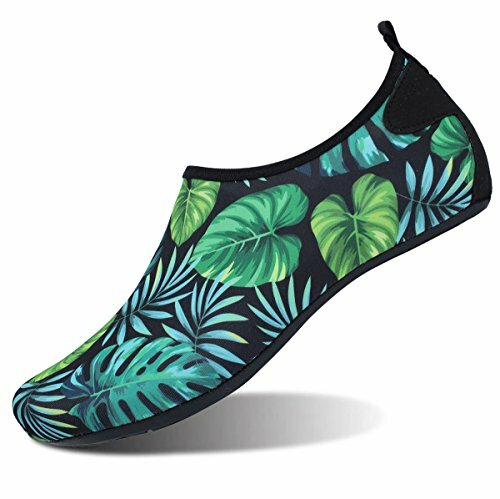 Such as beach walking, swimming, surfing, pool, sailing, boating, kayaking, windsurfing, yoga and etc. 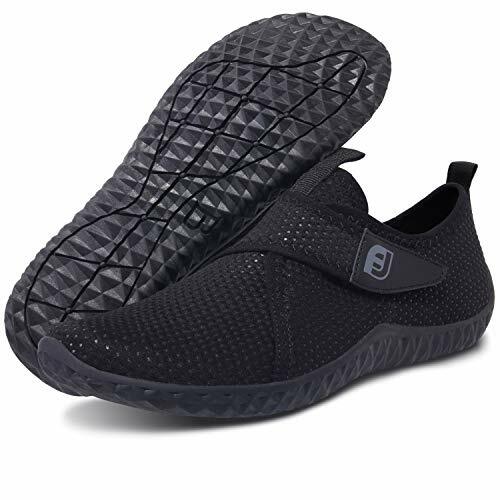 NON-SLIP：Lightest slip resistant cushion sole. PERFECT MATERIAL: Upper with stretch breathable ultra light weight fabric for fast draining and cross ventilation,give excellent flexible and comfortable.Quick-drying materials. 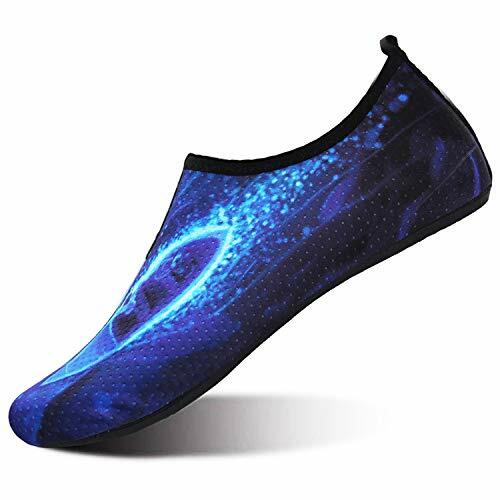 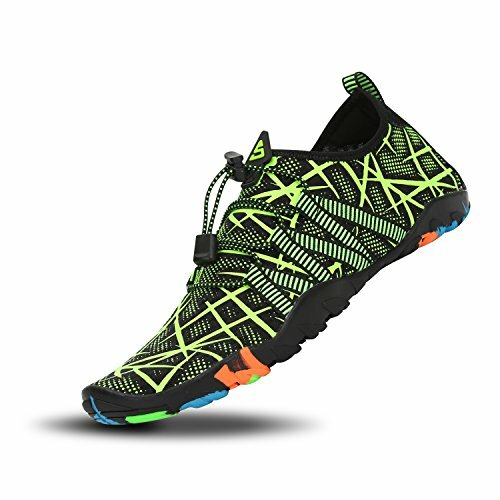 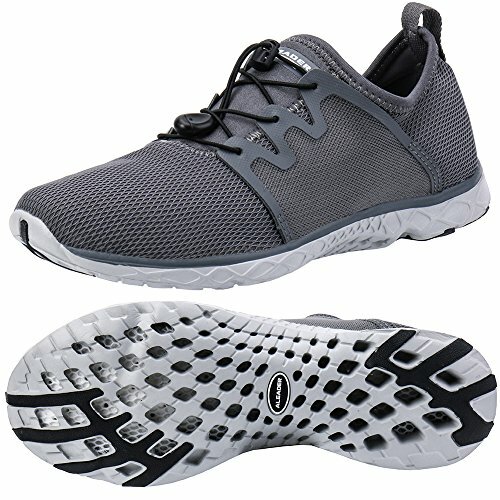 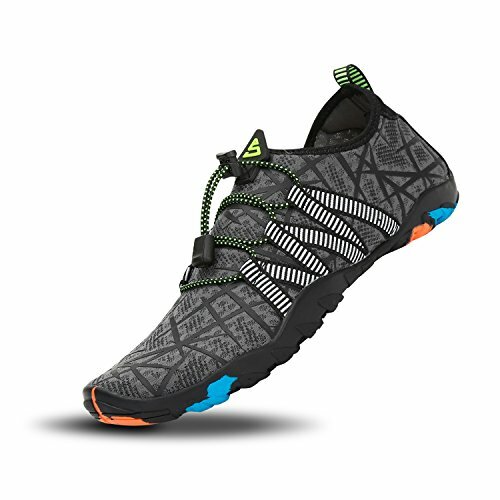 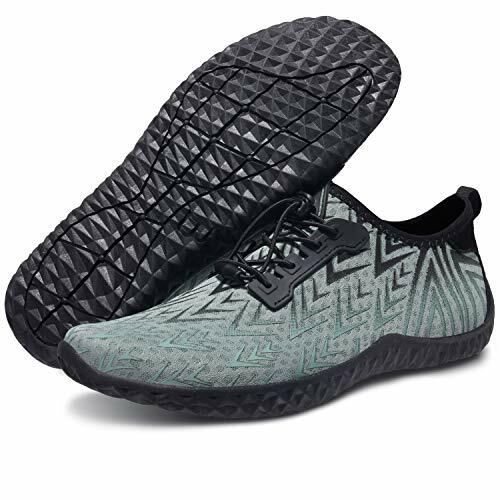 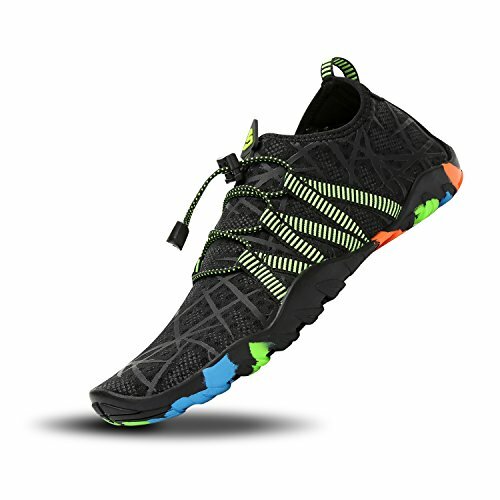 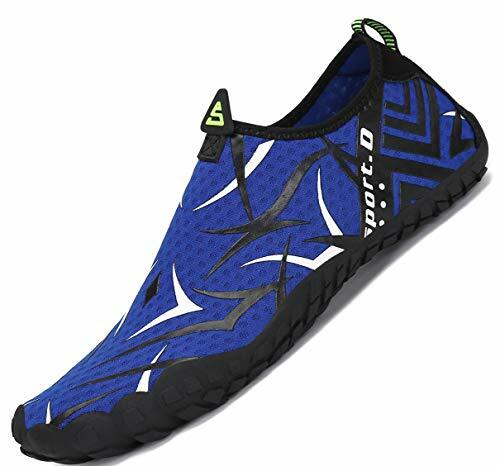 Elastic and Breathable：Water shoes upper with stretch breathable ultra light weight fabric lycra for fast draining and cross ventilation,enjoy a barefoot feeling no matter what activity you do. 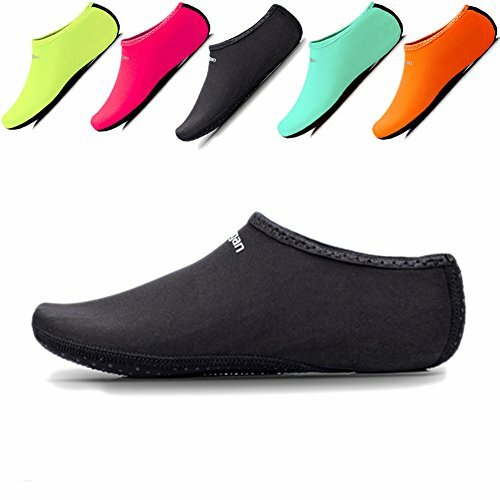 OCCASIONS: Perfect for beach,swimming,surf,pool,sailing,boating,kayaking,windsurfing,beach volleyball etc. 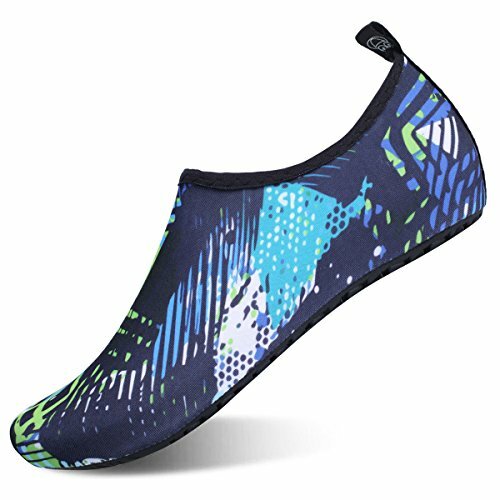 [Premium Material]: Upper with stretch breathable ultra light weight fabric for fast draining and cross ventilation, give excellent flexible and comfortable. the thickened rubber sole has excellent durability and wear resistance, soft enough to prevent your toe from rubbing. 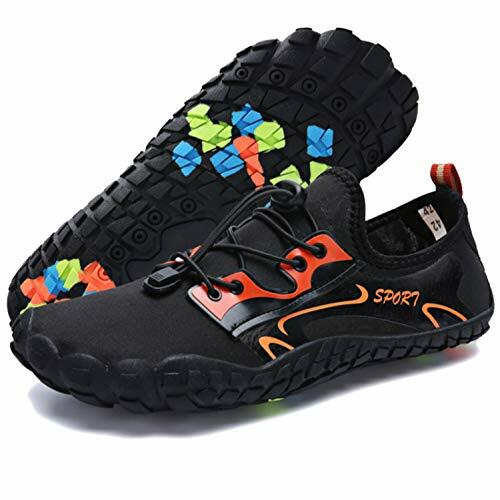 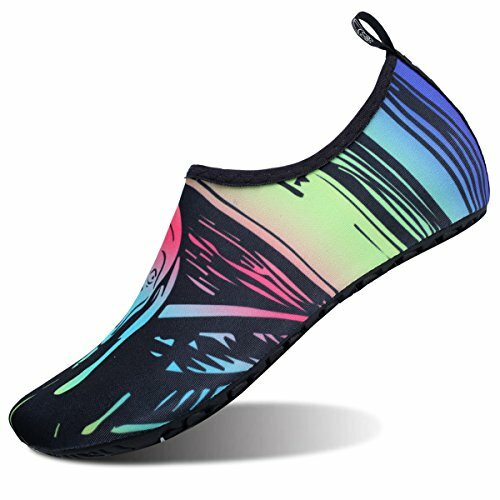 [Ultra Lightweight & Portable]: Super lightweight, soft fabrics and rubber sole can be folded freely, easy to carry and store, convenience for leisure or any other sport activities. 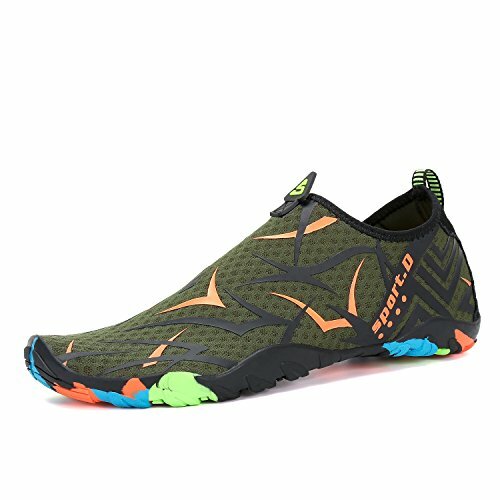 [Anti-collision Thickening Toe Part]: The Anti-collision Cushion protects toes from injury, enjoy a barefoot feeling no matter what activity you do. 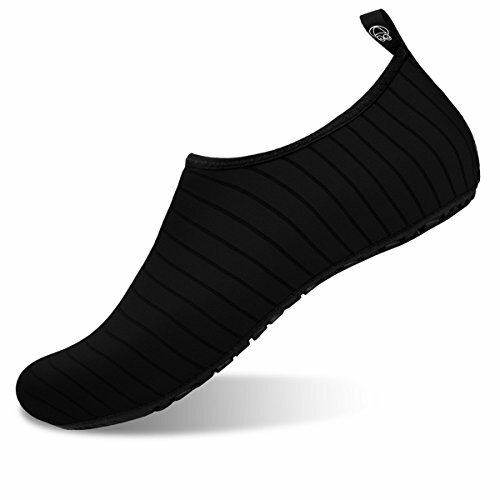 [Easy On and Off]: The pull tap at the heel allows for quick and easy entry,protecting your feet from dripping off.